Lacking the holiday and decorating-spirit Gadora may have been a Scrooge, but Valentine’s Day brings sweet things…namely pink-hued peanut M&Ms, Brach’s Conversation Hearts, and heart-shaped sugar cookies. And, I am certainly a fan! (Don’t even get me started on Easter’s Peeps! I almost cannot wait!) 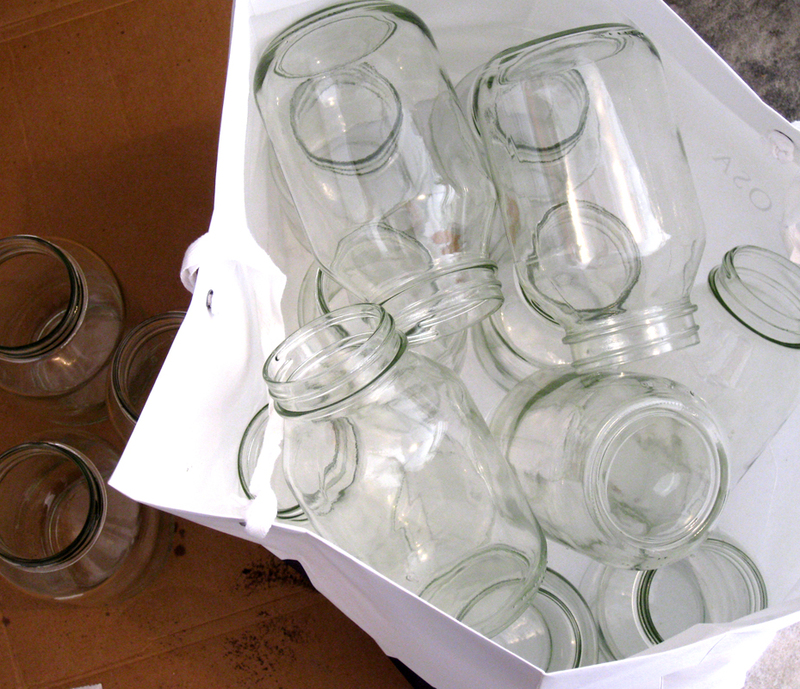 Scoring 15 quart-sized mayonnaise jars from a local Austinite, Gadora sets out to give them a new use. Sadly, North Austin does not currently recycle glass curbside. I KNOW, right?! May this suffice in giving these jars a longer shelf life! 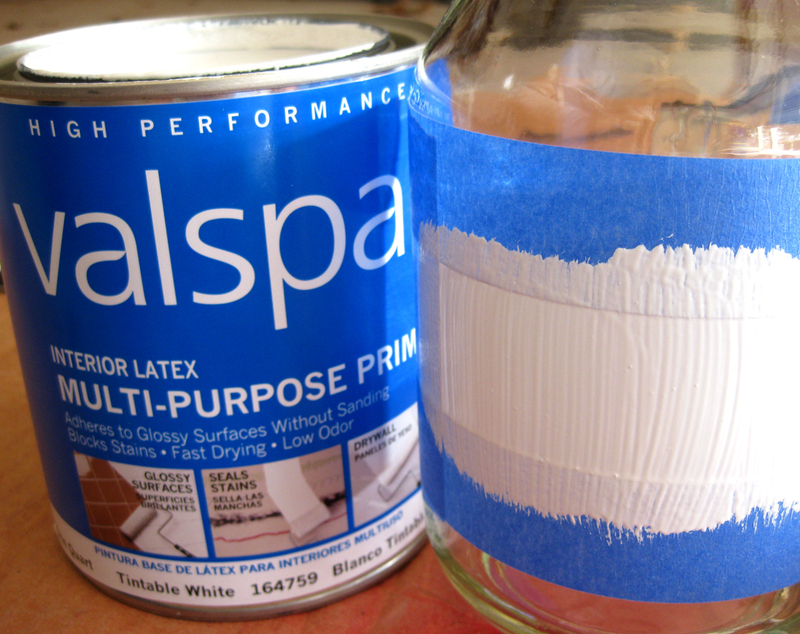 Using painters tape is a great way to contain the paint, in any shape you choose, and allows for easy removal. Once taped, the multi-purpose (glass) primer was brushed onto each spot…we’re making the perfect surface to apply the chalkboard paint. Tah-dah! 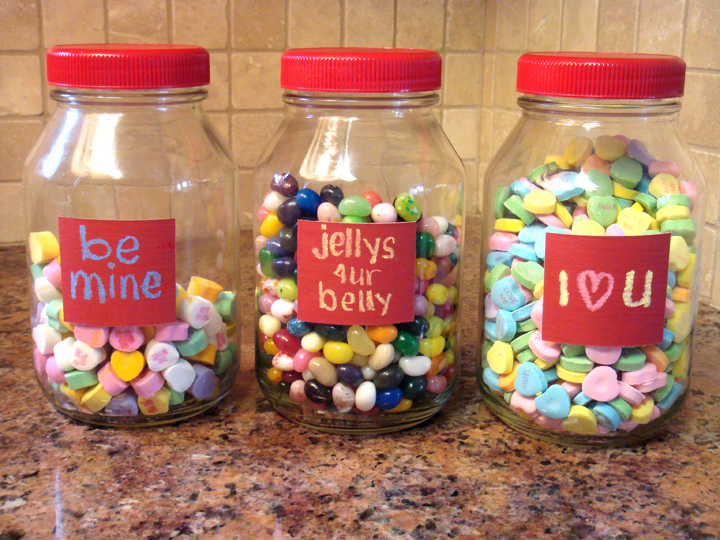 Candy jars fit for any Valentine’s Day treat. By the way, these would totally spice up your pantry. Each jar can hold rice, beans, or 4-cups of flour. Bathroom? Of course! They’d be lovely stuffed with cotton balls, filled with Q-tips and um, well, your choice! A close-up of the chalk-board detail. Supplies: glass jars, primer for lid, primer for glass, Chalkboard paint, sponge sander, razor blade , chalk, and yummy confections. The Comfort Grip is actually for another project. Stay tuned. How To: Start with clean jars. 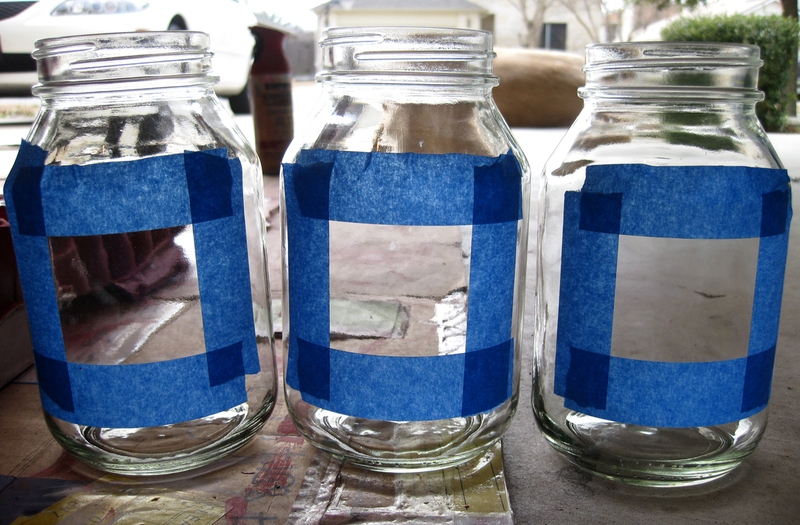 Tape off the space on the jars you wish to paint. Could be fun in a circle, heart or ornate frame shape. Prime area first with an all-surface (Valspar) primer (Gadora painted hers on, as it was the most reliable). Sand. Paint 1-4 layers of chalkboard paint, taking care to sand between each dry layer. Once completely dry, carefully remove the tape. There will be a few teensy spots of paint near your chalkboard window you’ll want to tidy up with a razor. Almost done. 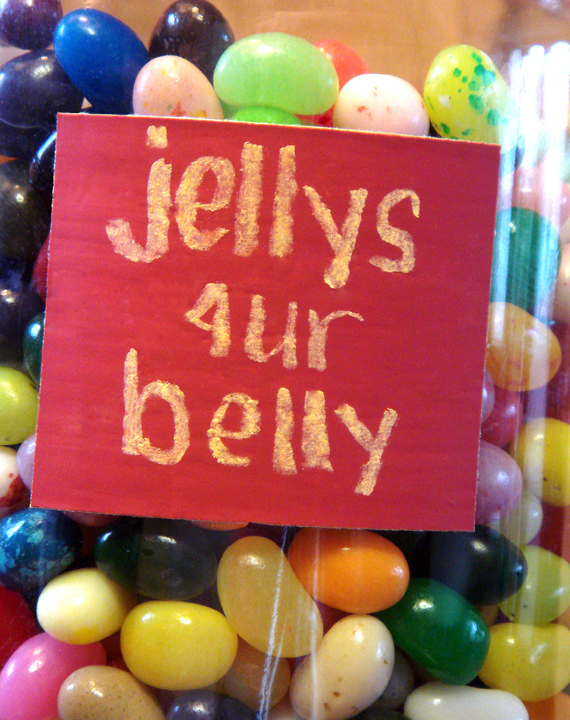 Scribble sweet nothings as you wish… Lids? 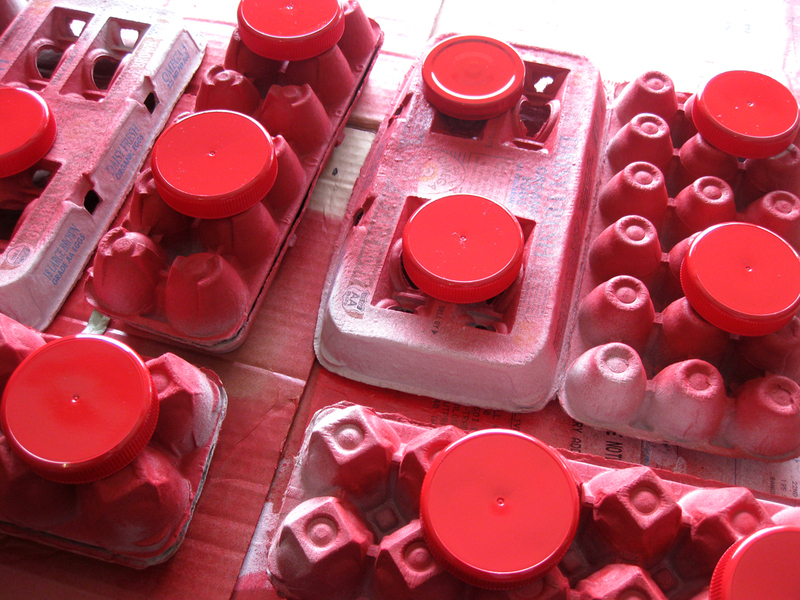 Once clean, simply lay on flat surface and spray with a plastic-approved paint. 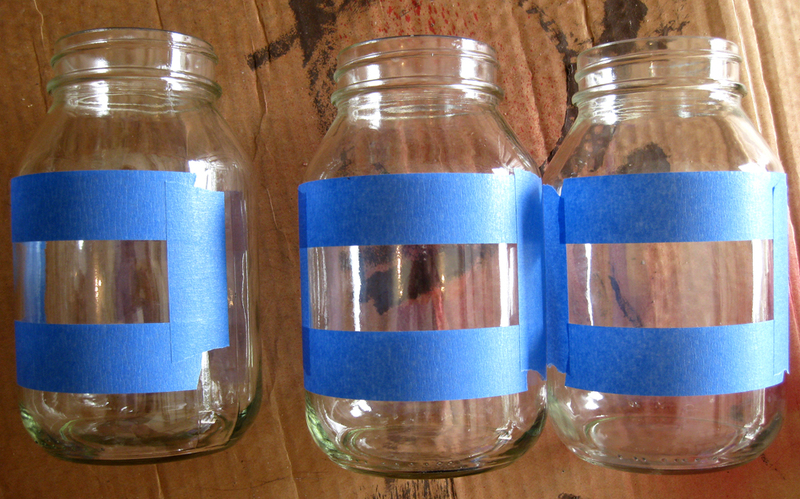 Time it takes: 30-40 minutes for a set of three jars, not including dry-time. Posted on January 20, 2010 January 21, 2010 by gadorawilderPosted in Do-it-YourselfTagged Do-it-Yourself, easy art project, homemade craft, How to, inexpensive project, Valentine's Day. Previous Previous post: M Chan loves his Nana. Love – going to pass along to my daughter. 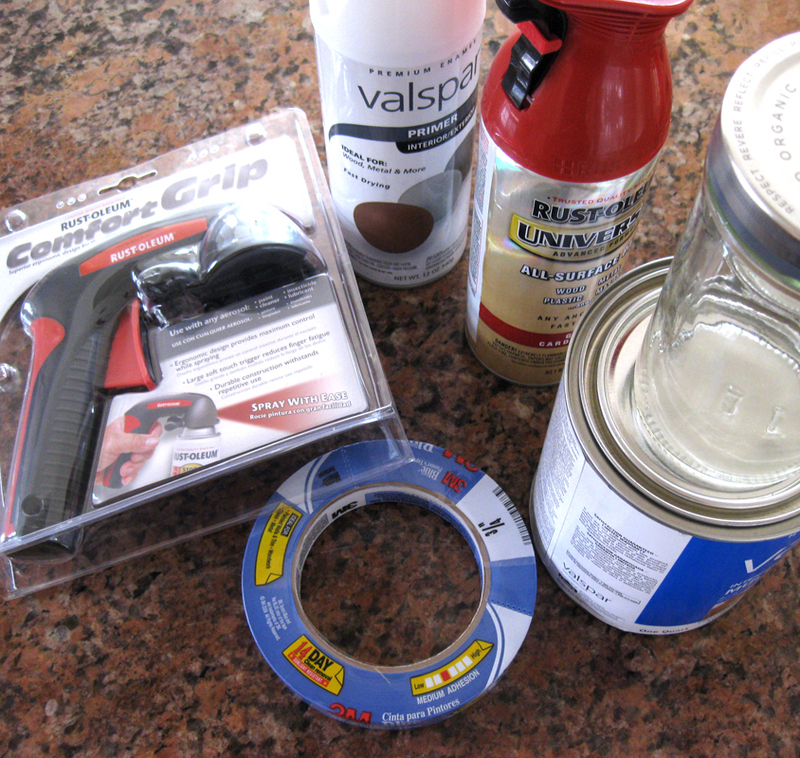 Gadora linked to the Rustoleum RED paint (right above the lids photo), but click here… Rustoleum Paint. At Lowes, you buy the paint, take it to the paint counter and they’ll tint it for you (in the colors shown). Okay I’m confused.How did you get the chalkboard paint red? I have only found black. They are really smart looking. Great Idea!! I love the jars! I love using the chalkboard paint also. I used it to paint my laundry room doors…now I write myself notes and draw on them til my hearts content. Heeeey, who you callin’ a bird brain? That is fab-U-lush!Any bird brain could do that! Even me! Thanks for the great idea.